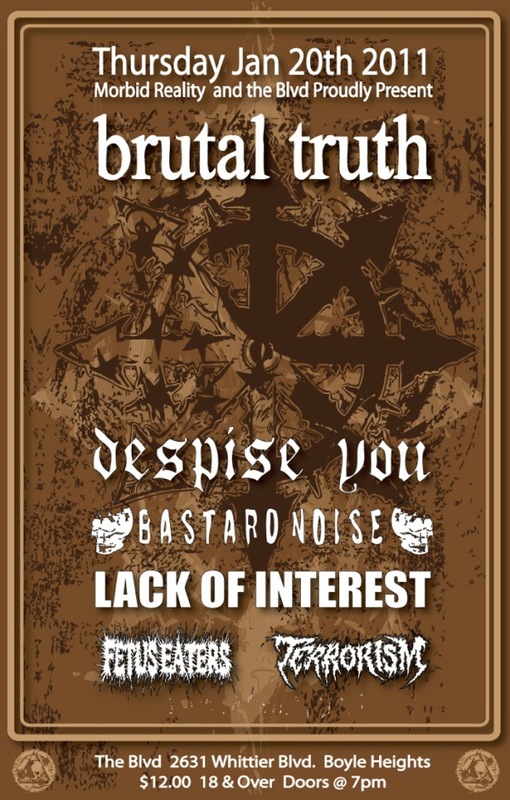 Notice Served: Brutal Truth Live In Boyle Heights! 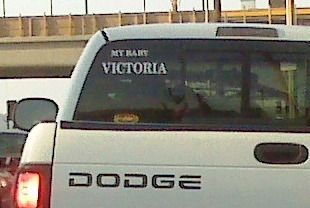 Spotted on Whittier Blvd. What is it? Posted on January 16, 2011 by EL CHAVO! 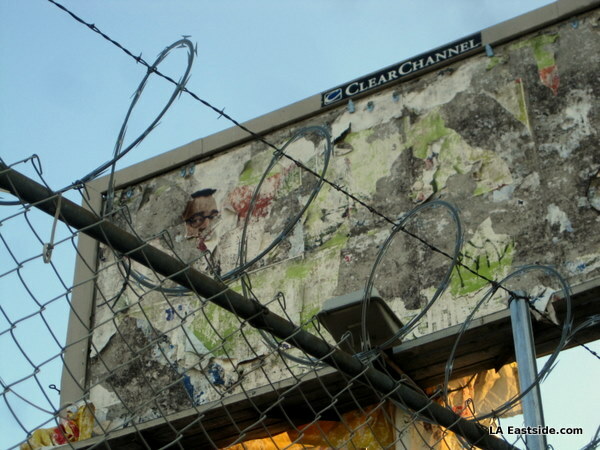 The dude with a catchphrase seems frozen in time in this recent billboard excavation. You can practically hear him spewing his phrase, even though he’s missing some lips. 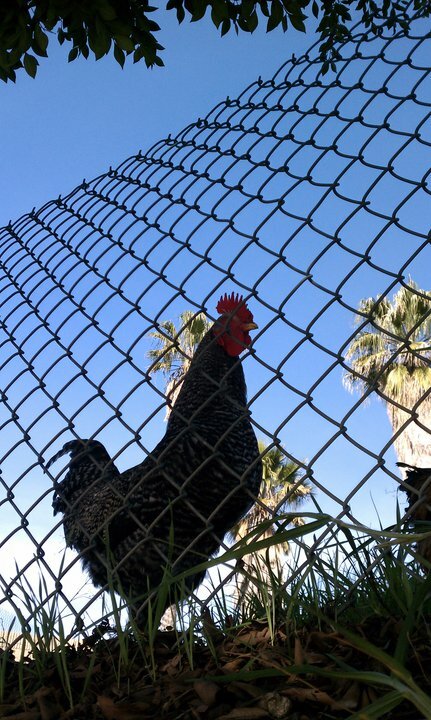 While walking around Boyle Heights today, I came across this friendly rooster. He followed me as I walked along the fence of his house. His other feathered friends were curious, but those roosters kept their distance. So I decided to take a picture of him. A lady walking by with her son gave me one of those amused smiles like, what a loca/mensa, why is she taking a picture of a rooster? 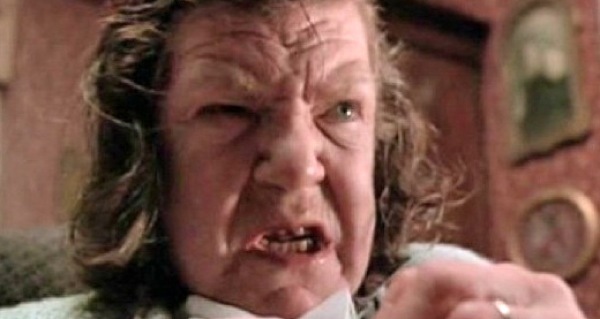 Hrrmph, señora, some of us have hobbies. 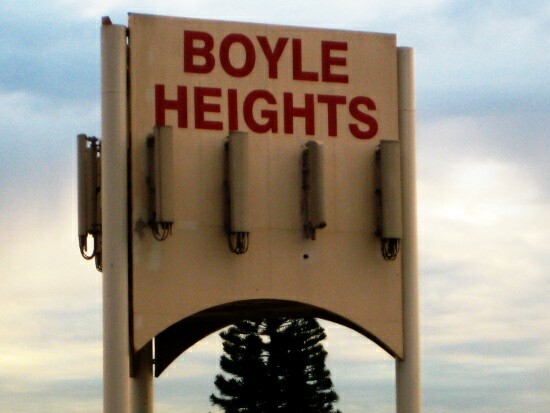 If you feel like walking around Boyle Heights and possibly have people laugh at you for taking pictures, join The Boyle Heights Historical Society this morning for a walking tour of historic buildings and the unveiling of the City sponsored Survey LA which “serves as the primary planning tool to identify, record and evaluate historic properties and districts within Los Angeles.” One of their pilot survey projects was in Boyle Heights. 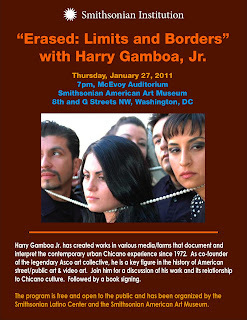 Harry Gamboa Jr. to speak at Smithsonian in D.C.
Harry Gamboa Jr. will be speaking about his body of work as an urban Chicano artist. “I Am Joaquin” the film produced by Teatro Campesino in 1969, based on the epic poem written by Rodolfo Corky Gonzalez in 1967, was selected to 2010 National Film Registry of the Library of Congress. From the website: Under the terms of the National Film Preservation Act, each year the Librarian of Congress names 25 films to the National Film Registry that are “culturally, historically or aesthetically” significant, to be preserved for all time. These films are not selected as the “best” American films of all time, but rather as works of enduring significance to American culture. The selection process is kind of democratic, “…the Librarian after reviewing hundreds of titles nominated by the public (this year 2,112 films were nominated) and having extensive discussions with the distinguished members of the National Film Preservation Board, as well as the Library’s motion-picture staff. The Librarian urges the public to make nominations for next year’s registry at the Film Board’s website. Posted on January 10, 2011 by EL CHAVO! Woo. Hoo. It’s 2011. BFD. Probably gonna be full of the same old BS all the way until Dec. 31. Most likely. What to eat until then? Well, a torta is always a good staple sandwich to have, a basic unit of life giving sustenance and sometimes the source of a bit of gustatory pleasure. Let’s see some options I’ve had recently around the general vicinity of Los Angeles in case you might want to consider squeezing them into your busy, likely to be lousy, year ahead. At least you’ll have lunch to look forward to! Err, maybe. 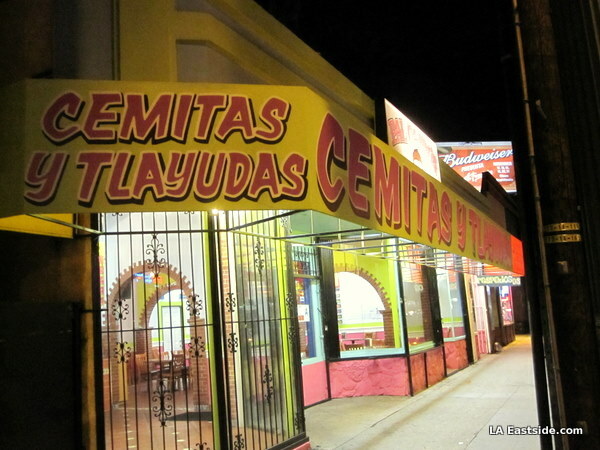 First up, a much mentioned new Cemitas place (at least online) over in Koreatown: another outlet of Cemitas Pal Cabron. 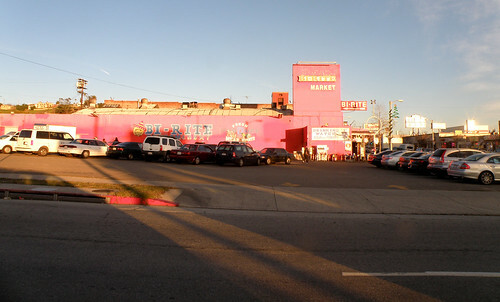 Yesterday (1/7/11), a screening of “Wiki Rebels” took place at the Eastside Café. A collaboration between both the organizers of the Eastside Café and Freedom Schools LA. ¡Sounds Like Burning: ¡Con Las Palmas Arriba! i got to quito, ecuador and stayed with my friend lesly’s family. some of the nicest humans i have ever met. during the week, we explored the city together and they were extremely generous with their time. i watched a “beauty” pageant with the family. their 8 year old son and i loudly rooted for méxico, high-fiving every time another country was eliminated. then we played ping pong. we attended an unforgettable baptism reception where i constantly asked the dj who he just played and wrote the names on a napkin. several women danced atop tables with a glass of rum in hand. it was even funnier than it reads.